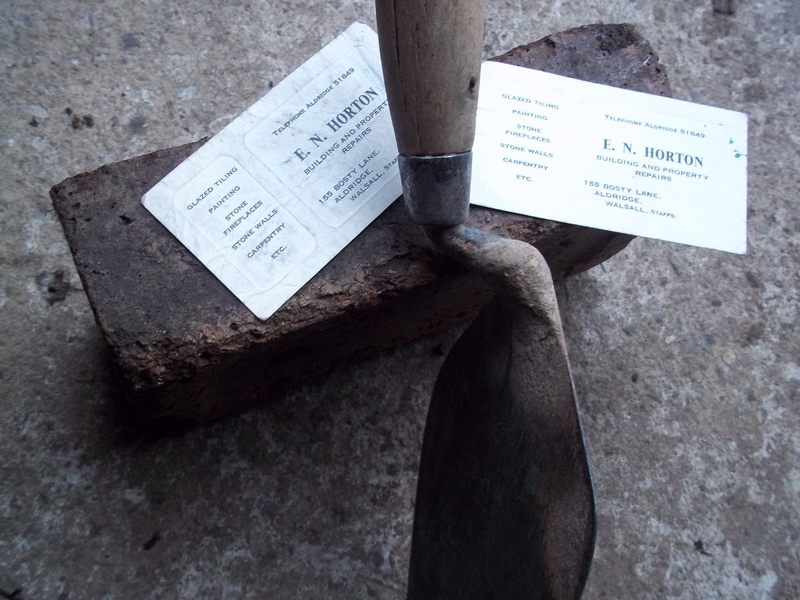 It was “Decorarte” in Hatherton Street, Walsall for bespoke paint and wallpaper, Shenstone Brickworks for bricks, and Mr Hilditch’s shop in our High Street in Aldridge for the odd dozen nails or screws. It was Magnet Joinery in Lichfield for timber. But some time in the very early 70’s, “The Big ‘K'” became a convenient one-stop shop for many of my Dad’s building materials. That builders’ merchant, with an eye to the burgeoning DIY market, was our nearest approximation, then, to an out-of-town superstore. It had been erected on a spacious site, reclaimed from industrial activity – adjacent of what my forbears had disparagingly called the “Dry Bread” pit because of its meagre wages, and the pit’s associated brickworks. It had an unused Sunday morning car-park round which I, like many others, I suspect, made their first staccato circuits learning to drive a car. ……roads met. All had terraced houses…….The Vigo…the road down to Walsall Wood…our road led to Aldridge….joined Salters Road which could take you to Brownhills. Directly opposite the pub was a real country road called “The Castles” which led to Stonnall. 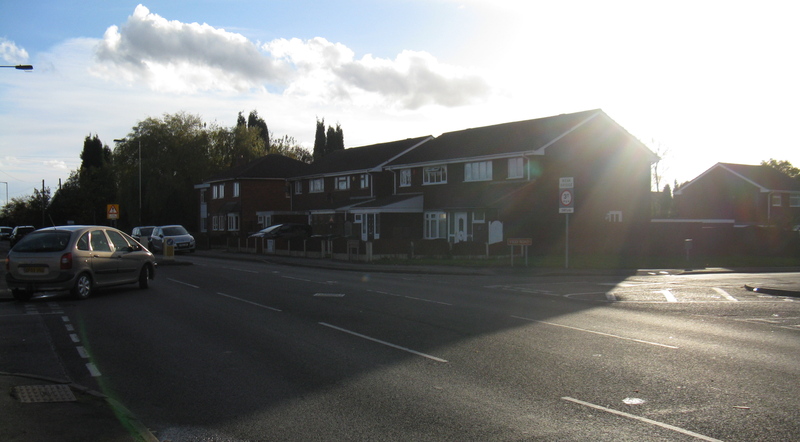 The next house we lived in was about number six, Aldridge Road, later…..we moved into number one. So, there I have it. 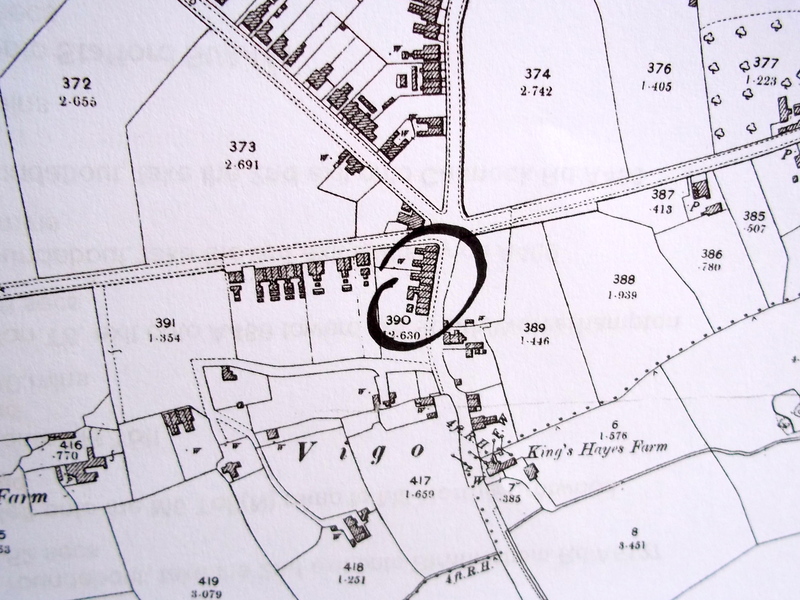 The modern pairs of houses at the top of what was “Aldridge Road” but has since been rechristened “Northgate” don’t start quite from Vigo Road as did their predecessors, which are clearly marked on my reprint of the 1901 Ordnance Survey Map. By my calculation, where my father was born, on August 31st 1925, is now a little patch of mown grass, at the corner of these now busy thoroughfares. Would you like me to lead you up those roads when children could play at energetic bouts of “Kick can I erky” in the gutter, their game seldom interrupted by motor vehicles? We can even look through the little windows, and name some of the neighbours going about their business, or involving themselves in some dramatic happenstances. Let us then make a date, and soon, to leaf through some more of Aunt Mary’s notebooks. The site of 1- 6 “Aldridge Road, Vigo”, now Northgate, today. You are combining all this stuff brilliantly!!! As your Dad remembers the dancing bear as well as Mum they were probably together… holding hands and gawping do you think ???? or did the bear come past on a regular basis.? You’re welcome, Clive. Thank you for reading. Wahro, Trevor! The period I am talking about here is between the two World Wars. My dad’s father and mother were born in the last decade of the 19th century. Their children were born between 1913 and 1925, and they left Walsall Wood to live in Footherley in 1929. The General Strike took place in 1926. I am lucky to have a direct historical source from these times. Your childhood probably doesn’t seem very long ago, but it is already history, and it is interesting to hear about it. Thank you. And thank you for reading my blog. Big K – previously Kinsells (L Kinsell in the 1974 phone book) They had stores in Netherton (New Road) and Owen Road, Willenhall in addition to Coppice Lane. Founded around 1967 they later expanded and had stores in the Manchester area. I remember using the Willenhall store a lot in the mid seventies when we bought our first semi just off Stroud Avenue. Thank you, that is very interesting!